If you live in the Northeast, you're probably in the same boat as me: sick and tired of the snow! A and I are planning a Carribbean/Mexico trip for April and I am overwhelmed with the options and logistics. I've never been to that part of the world and I have no idea where to start. I am however getting very good at looking at the pictures. 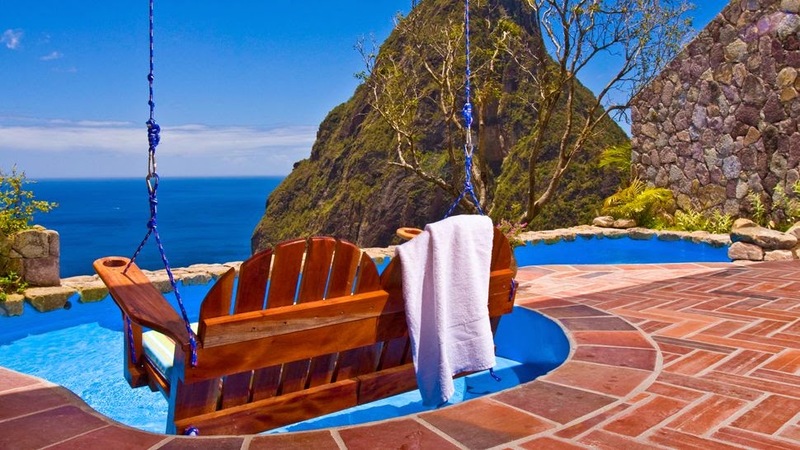 The photo above is Ladera Resort in St Lucia. It's a bit out of reach, but that doesn't stop me from daydreaming! Want to dress like a princess? Here's a guide to Kate Middleton's favorite brands. In honor of Galentine's Day: Famous women on being childless. I'm all for everyone making their own choices! This article on eating out hit very close to home for my boyfriend and me. Tatte Bakery is one of my favorite places. Did you know you can order some pastries here? I haven't shopped at LOFT in awhile for some reason, but I'm digging their recent arrivals. Particularly this, this and this. Any favorite or suggested resorts for me?